CO2 lasers offer several advantages over mechanical routers for cutting acrylic and other plastics used in signage. 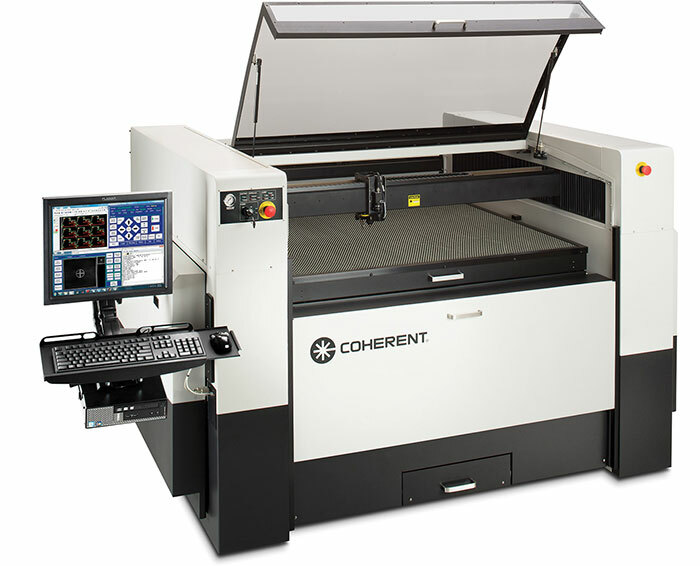 The most recent series of CO2 laser-based META machine tools from Coherent is one of the products on the market that make this technology more cost effective and simpler to use, providing easy entry to fabricators of all sizes, and Intersign Corporation has successfully implemented the system. 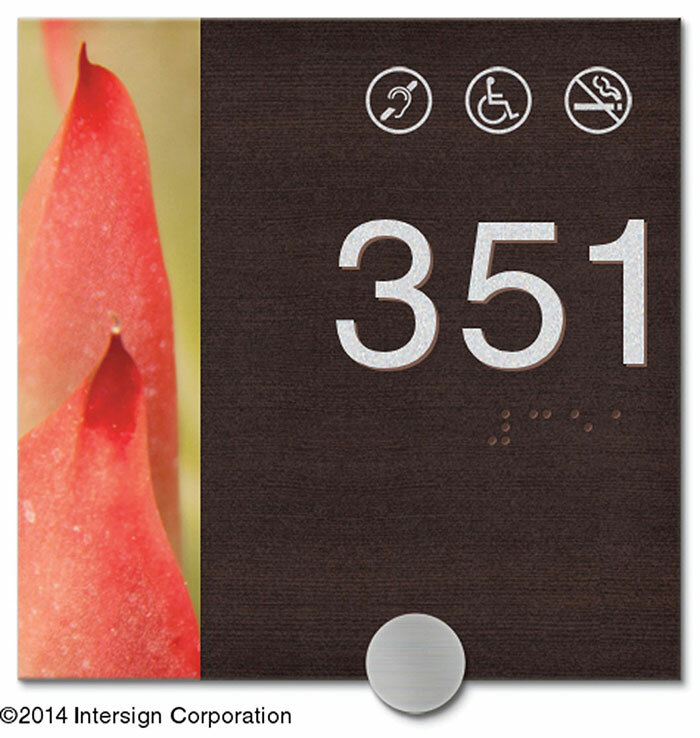 Intersign is one of the largest sign makers in the United States, supplying products in a wide range of styles to hotels, healthcare facilities and schools. The company has 60,000 square feet of environmentally controlled manufacturing and office space in Chattanooga, Tennessee. Intersign employs more than 140 individuals, and production runs three shifts, seven days a week. Intersign has five mechanical routers, and these historically formed the mainstay of their business. 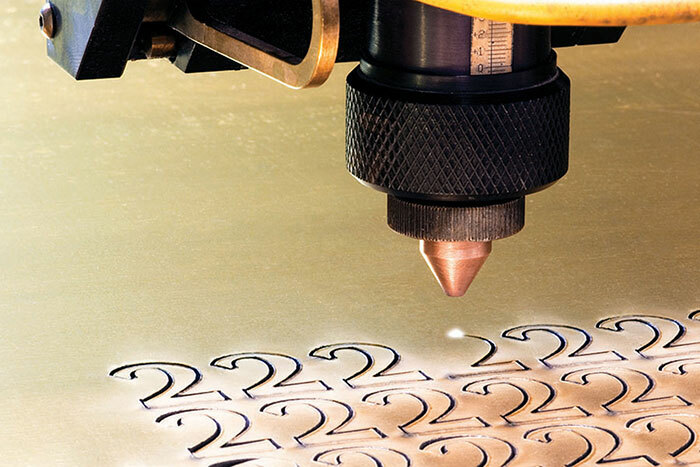 Several years ago, they purchased their first Coherent META 2C CO2 laser-based machine to address the jobs where the limitations of router technology were causing problems. They now run two of these systems. Cosmetics are very important for interior signs, and one key use of the META 2C at Intersign is for cutting acrylic to yield a polished finish, without other post-cutting processing steps. 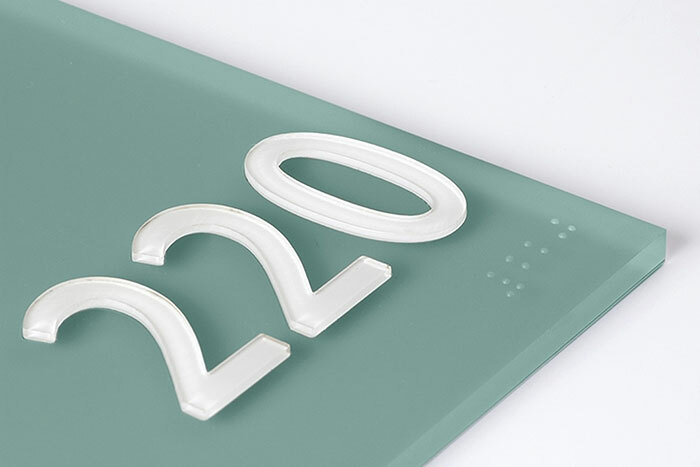 A typical example of this would be producing letters for signs such as those found in the interiors of hotels, office building and hospitals, which are compatible with the Americans with Disabilities Act (ADA). The ADA mandates that signs have text that is raised 1/32 inches. For example, in the sign pictured above, the room numbers and braille characters are raised. Usually the way to achieve this would be to first cut out as separate pieces and then glued to the main body of the sign. Sometimes signs also contain a pocket or slot that allows a piece of paper or nameplate to be inserted. Thus, a single sign can be an assembly of a variety of different plastic, metal and thin film materials, and may be fairly complicated. A rough finish, which must be subjected to additional processing, such as flame polishing, if a smooth or transparent (in the case of letters being produced on clear plastic) surface is required. The inability to cut a sharp, 90-degree, interior corner, such as you see in the letter "T" where the vertical line joins the horizontal line. A router always produces a rounded cut. The inability to cut very small parts due to machine vibration. This makes it difficult to cut small features like the dot over the letter "i" or periods. Periodic downtime required to replace the cutting tools which dull with use. The need to clean dust and debris from the cut pieces after processing. In contrast, the laser is a non-contact tool that cuts by essentially melting and vaporizing away material. Typically, plastic cutting is performed using the CO2 laser because its infrared output is strongly absorbed by most organic materials, even those which appear transparent in the visible (such as many acrylics). Can deliver a variety of cut edge finishes, including a smooth, transparent edge which entirely eliminates the time and cost of flame polishing. Enables the cutting of sharp corners, angles and very small features due to the very narrow cut width (as small as 0.005 inches). Provides tremendous flexibility, with very accurate control of cut depth and high repeatability and consistency, without the need to change tools. Can "kiss cut" thin films (this is a technique commonly employed with adhesive labels, where the paper label material is cut through, but the backing is left untouched). Largely eliminates the need for post-processing part cleaning, which is usually required after router cutting. Can produce smaller parts than a router, because there's no machine vibration. Delivers one and a half times faster cutting speed than mechanical routers. Cuts cleaner than a router, eliminating the need for subsequent part cleaning. 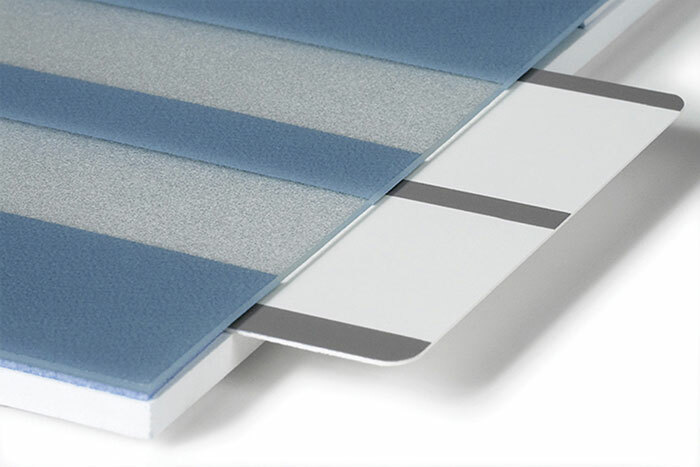 Can be employed on materials over a wide range of thicknesses, from mylar sheets to 1.25-inch thick acrylic. Eliminates tooling expenses when cutting thin parts that could be die cut. In fact, thinner materials can be stacked to enable cutting multiple sheets at once. Has more favorable downtime characteristics than a router, since there is no need for tool replacement. Sometimes the sign substrate is styrene, with a thin (about 0.020 inches) sheet of polycarbonate bonded on top of it. In this case, Intersign uses CO2 to kiss cut the polycarbonate without affecting the underlying polystyrene. Next, the polycarbonate layer is removed, and the sign characters are inlaid. The laser gives very precise control over cut depth. Another advantage of laser processing in this application is that the META can cut sharp corners, which isn't possible with the router and allows Intersign to better inset the laser-cut characters. Yet another way in which Intersign employs the CO2 laser is in the production of signs with pockets designed to accept paper inserts. These signs are a sandwich of at least three layers. A spacer layer separates the front and back layers of the sign sufficiently far enough apart to enable a piece of paper to be slid in. Typically, this spacer layer is produced from a plastic material that is supplied with adhesive on both sides, covered with a paper liner. Using a router to cut this thin, adhesive-backed material is problematic because the router usually rises up the liner and the adhesive gets debris on it. Alternately, this material could be die cut, but this involves the expense and lead-time of the creating the die. Conversely, Intersign has found that this material can be directly laser cut with no difficulty. In a similar process, the META is also used to make paint masks at Intersign. This is a method employed when the desired end result is a painted sheet of acrylic having one or more clear (unpainted) window areas. Acrylic sheet is usually supplied with paper on each side, so that it can be handled during production without scratching the soft surface of the plastic. To make paint masks, the META is used to kiss cut the shapes of any desired windows into just this paper. Then, the paper is removed from all areas except the window(s). Next, the acrylic sheet is spray-painted. The paint masks (un-removed paper) prevent the window areas from being painted. Finally, the paper is removed to reveal the unpainted window area(s). "The META 2C is compact and nicely packaged, and was easy to integrate into our production environment," summarizes Jim Roides, Chief Operating Officer at Intersign. "Of course, there's no need for tool replacement and machine downtime is minimal. As a result, the system has a more favorable maintenance profile than a mechanical router. Combined with the generally better cut quality and faster processing speeds, the META thus delivers great value for our sign fabricating business." The Coherent META Laser Machining Center integrates a CO2 laser, CNC controller, beam delivery system, assist gas delivery system, drive system and laser cutting head all into one compact machine frame with a standard table size of 4 feet by 4 feet (1.25 meters by 2.5 meters). Two different models are currently available. 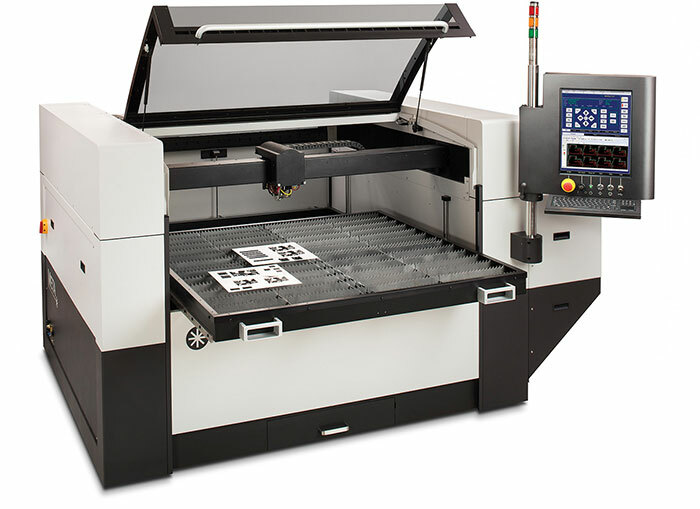 The META 10C (above) features 1000W of power, making it capable of cutting metals, such as stainless steel and aluminum, in thicknesses of up to one-eighth of an inch and mild steel up to one-fourth of an inch thick. It also readily processes a wide range of non-metal materials, such as wood, plastics, rubber, thin films, composites and other organics, in thicknesses of up to 1¼ inches. The META 2C (below) offers 250W of power, and is suited for processing various plastics, wood, fabrics, leather, thin films and other organic materials. Both systems can deliver a precision of up to 0.001 inches (0.0002 inches repeatability), at cutting speeds up to 2,000 inches per minute. Job files are created in Adobe Illustrator or CorelDraw. Material to be processed can be rapidly loaded into the machine and held in place by a vacuum bed. An optional integrated smart vision system also facilitates rapid loading of material. This vision system can identify fiducial marks on the work piece, and then use these to perform cutting that is referenced to existing features on material regardless of its orientation in the machine, thus eliminating the need to position material with high precision. The software can even scale or distort the cutting pattern to correct for any dimensional changes in the material from the originally specified values. The sealed CO2 laser technology offers nearly 50-percent greater inherent electrical efficiency than the fast flow lasers commonly found in most other laser machine tools, making them economical to operate. Furthermore, sealed CO2 lasers eliminate most of the costs associated with gas consumption and maintenance for flowing gas lasers. Specifically, the laser gas remains pristine over the entire 40,000-hour operational lifetime of the unit, eliminating the costs associated with gas replacement, handling, storage and supply, as well as the downtime connected with changing tanks. This also eliminates the need for gas pumps, which require frequent service and oil changes when used in a flow laser application. Even cooling water is circulated through a closed loop system. In addition, sealed CO2 lasers do not need storage tanks, making them very compact.